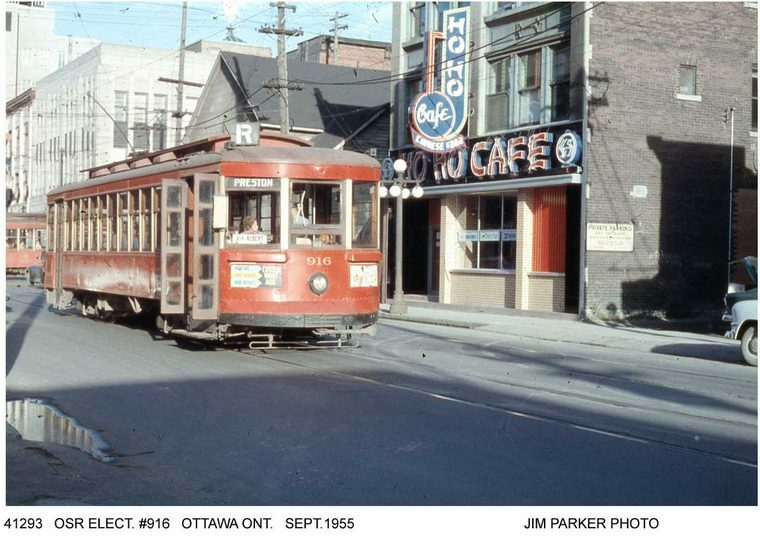 Seldom discussed or even remembered is Ottawa's Streetcar system. Back when we had the 'green new deal' but didn't know it. Never rode it or even saw it as it was tore up before I visited Ottawa. ... wonder if NDG knows stuff or if Dave Klepper even rode it. Nations capital and they threw away their streetcars, center of the city Union Station ( it's a convention centre thingie for swivel servants) , all the rails into the city ( it's an expressway). Not good. Wonder if the HO-HO Cafe is still around? 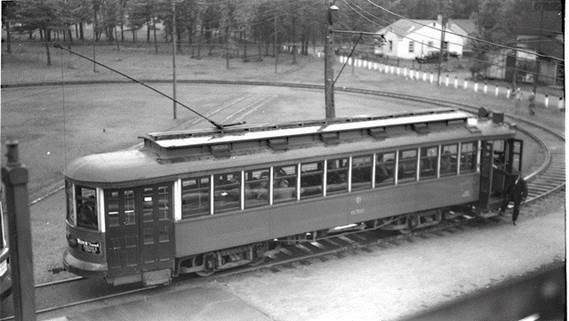 Open car 226 in Rockcliffe Park enroute downtown Ottawa. 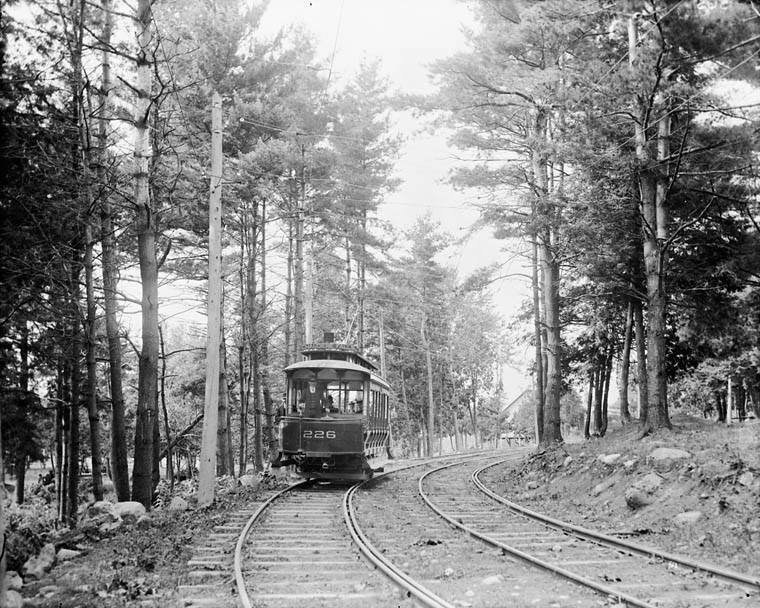 Turn of the Century (circa 1900). 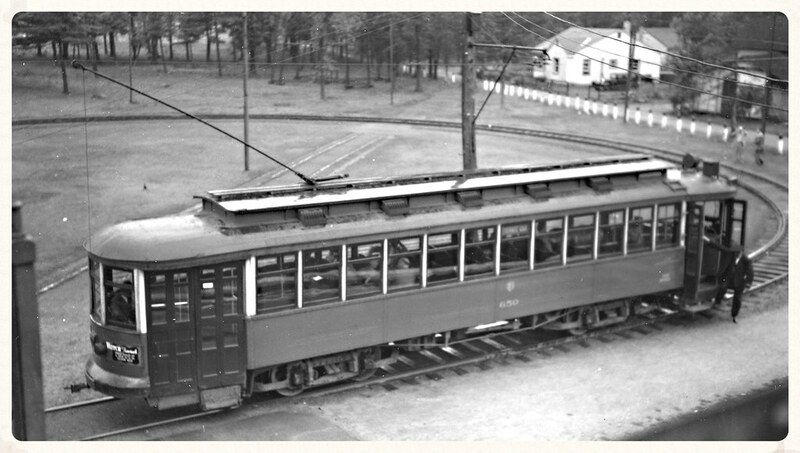 Note guard rail to prevent derailment on sharp curve. From Mike: I find it better with the music off as the scenes are outstanding. I never rode a streetcar in Ottawa, but saw enough of them. After the War my Uncle lived in Ottawa, had a good job as a Consultant w the Federal Govt. and had a great house on Holland Ave. which featured Streetcar Service right outside. Approaching cars would shake the house and I would run to the window to watch them by. We traveled up to Ottawa by train into the old station right downtown, Royal Hudson up front, by way of Vankleek Hill et all, and my Uncle would pick us up in his CAR!! Many were car-poor after The Depression and The War. Automobiles were still a fairly new Invention in the Forties. 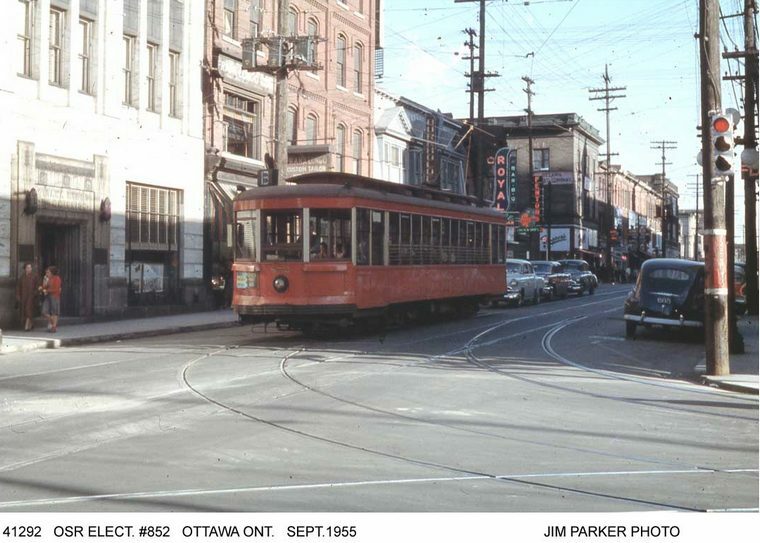 We would drive downtown following the streetcars at times, I noting that some of the streetcars had Green/Red signals on their rear to the left of the Trolley Rope retriever. With Controller Open, the Green Light was Illuminated. When Coasting, neither of the Lights were Lit, when Air Brake Applied, the Red Aspect was Lit. 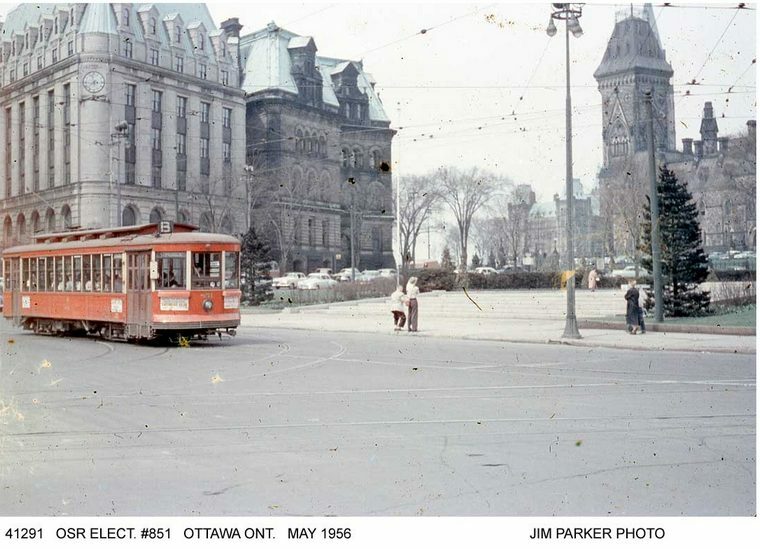 Anyway, in 1959, we went up to Ottawa and the streetcars were gone. He said they had taken them all off a few weeks before and we went in his car out to the end of the line @ Brittania Loop where about fifteen streetcars lined up around the loop, there. 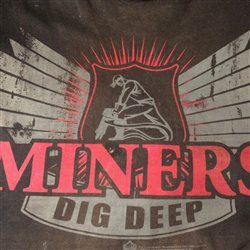 Right out in the open!! Kids were throwing ROCKS at them!!!!!!! Sad end and I was disappointed. Better to be burnt in the back of the Shops, than this. Three months later Montreal streetcars were gone, the City having a Great Parade of historic streetcars and the new Autobusses. Later, the cars were taken Privately to Youville Shops by truck, and burnt. Glad you could share all that with the Forum. Pictures are very nice but a person who there with recollections and tales makes it all real. Stored at the Brittania Loop and rocks being thrown at them. Who knew? I also arrived in the downtown Union Station, from Toronto, 60's . For those that may not know Ottawa Union Station is a scaled down replica of the torn down Pennsylvania Station in the Big Apple. No longer a train station though, it is a meeting centre for government functions. The train station in Ottawa is way out in the boonies as a glorified bus shelter thing. As old ways disappear, those that know what is happening in the photos are also disappearing. Same with locations shown, after 100 years of change. I look on Google and ' Travel ' to places I once knew well, and Surprise! I can no longer identify some of the location at all. Was at Eglington and Yonge on Google, once the end of steel for the Yonge line ex Union Station and a major hub for buses and trolley coaches with several stalls aboveground for all the routes with stairs descending to a Concourse underground with small shops lining the walls where one could purchase newspapers ( Remember Them?? ) coffee and tea and confections to sip and munch on the way downtown. All Gone!!!! The trolley bus garage to the South now the Terminal. Can't see the sky for the buildings. Looks like changes coming here?? This ditz is now getting her Minute of Fame = news these days? Anyway, about thirty years ago I was at the Local Museum talking with the Archivist and noticed a series of photos on his desk. All but one were local well known images and he had put Accession Numbers on their backs for the Archives. 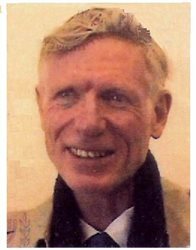 He had spent DAYS digging thru books and other Archival Material trying to find the Location and the Subject presuming the scene was at the BC Coast, BC Electric? My Father traveled Overseas just before the War and came home with hundreds of photos. Castles, Big Ben, Tower Bridge, Scotland and so on. 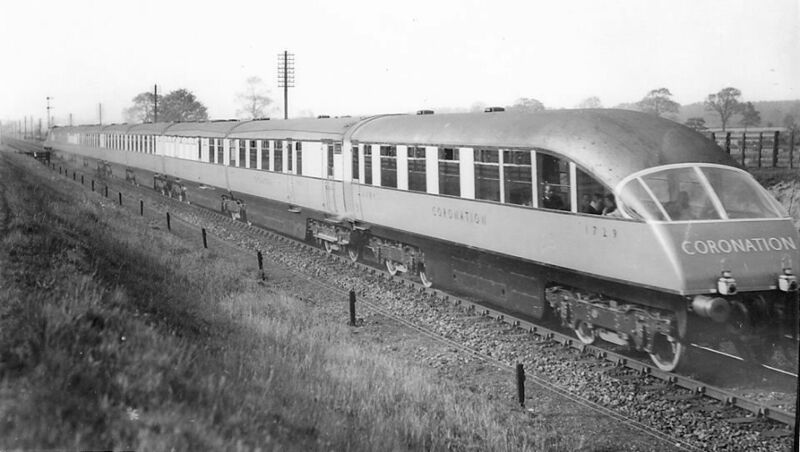 But, a few views showed the initial runs of ' The Coronation Scot ' including the as-built Observation Car. A BIG DEAL to some, as the War changed everything, for ever. There are other views of he and other passengers on a Coastal Ferry off Scotland, wearing Gas Masks as War was Nigh. The train photos went to a Museum. I do not know why the OTC Cars were at Brittania Loop. Maybe no room at the the Barns, they could be scrapped at the Loop just as well and it really did not matter what the kids did, worse was in store for them?? Maybe they could be BURNT there more safely than wherever the Car Barns were, re Political Correctness? Taxpayers' Money Going Up in Flames, and all that Rot. The Hurt was until a few weeks before the cars had been on their Routes serving the Citizens and providing Service. Faithful. 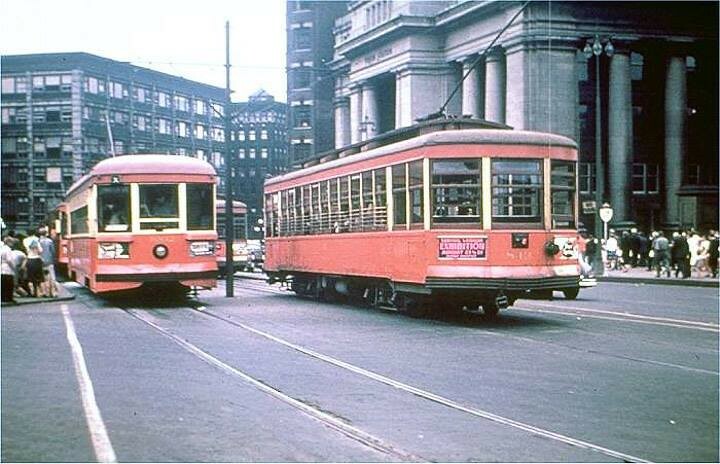 Streetcars, Locomotives and such sure AGE fast when no longer needed. Its as if they KNOW? 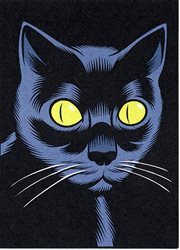 With the Internet daily uncovering answers, and posing more questions, the Truth may Out. Photos surfaced of the steam engines @ Ste Rosalie Jct. 60 years later. I don't like Ottawa. That whole Civil Service ennui and Taxpayers' Dollars and Privilege worse than anything E B Eddy could cause over in Hull. WHY they moved the station is crazy. The new place, now Fifty Years Old, is a disgrace, and of no value re Weather. No fun to go back, unless it was the way it was. The Kat wants some ' Quality Time ' alone. There are eight 8 inches of new snow. He says He does not getting His feet wet, so I am going to Starbucks, Alone. Its really that His tummy drags and makes a Ugly Trench. Looks Declasse. Just luv that observation car for the Coronation Scot. I'm sure the Milwaukee Road was paying attention! Great picture. When they tore up the Hamilton Street Rwy I was very unhappy and so sad. Boy they made a mess. Just awful. No more clang clang, cool doors, warm lighting and feeling of excitement. Every reason in the world to dislike the Ottawa Senators NHL team. How many of those filled seats are on the taxpayers dime? Every government department, commission, whatever, has season tickets. Bad ju-ju. Everyone offended by everything. Expense accounts coming out their ears. Smarmy town. Yeah Young and Eglington was 'it'. That's not even mid town anymore. There was always a Fran's nearby subway stops along Young.. 24 hours a day, good old fashioned burgers and breakfast, specials and such. Coffee cups built like brick/concrete bunkers. If you threw one against a solid wall it would just bounce. Totally chip free. I miss Fran's at 2 am. To cool off that warm feeling you have about Toronto, remember that the Maple Leafs are the Evil Empire that has repeatedly prevented Hamilton from getting a NHL team. No worries, I despise the Leafs. I like the TTC though, but I'm glad I don't live there anymore.. too big, too everything. Oh yeah the Hammer is the best. Dude, you know what's odd is that there are 3 fellas, all ex-Hamilton residents teaching here at the College, way the heck and gone in Northern Saskatchewan. We get together here and there talking about past times in the Hammer, the restaurants, the night life and of course the far easier climate. Good for some laughs and rememberances. 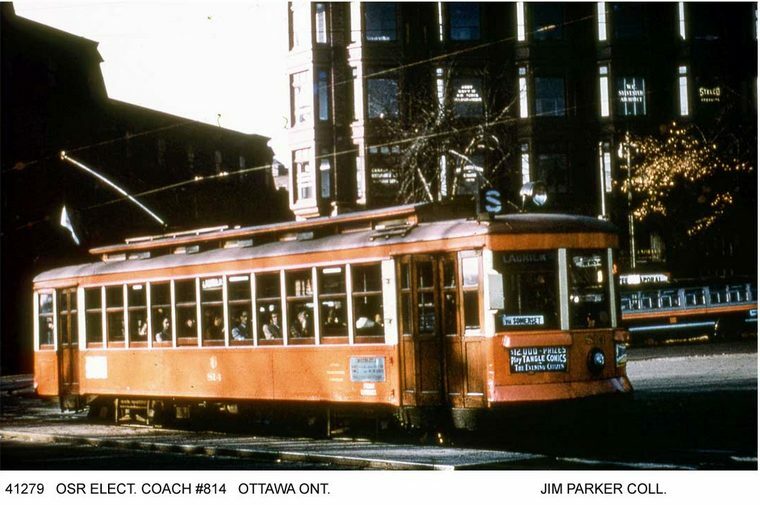 Ottawa bought conventional non-PCC cars after WWII! Double-end, arch-roof. reversable seats, doors only at the four corners, outside-frame drop-equalizer trucks, non-resilient wheels, no magentic track brakes, typical late 1920's lightweight one-man double-truck safety cars, brand new! Their pre-WWII cars all had deck roofs. Otherwise the same. Tried and true I suppose. Why mess with something unknown and the costs of retraining and new parts and shops and so on. There is a logic to it. They certainly looked great and were functional. Let's leave the hockey prejudice at the door as we can agree on how cool those videos were, awesome. Does anyone know if there's something similar shot in Toronto? There is a goodly number of model railroad clubs in Toronto and within a 50 km radius out. A google search will get you started. Also go to the model train shows in the area and visit the hobby shops that can direct you. You might want to go to the Halton County Radial Railway Museum in Campellville, a short drive from the big smoke. They have operating streetcars and Hamilton Street Railway equipment and can tell you a lot more. I no longer live in the area but am way up in Northern Saskatchewan so I'm a bit out of the loop as to what's what these days but there is a lot of information and helpful people available at these places.